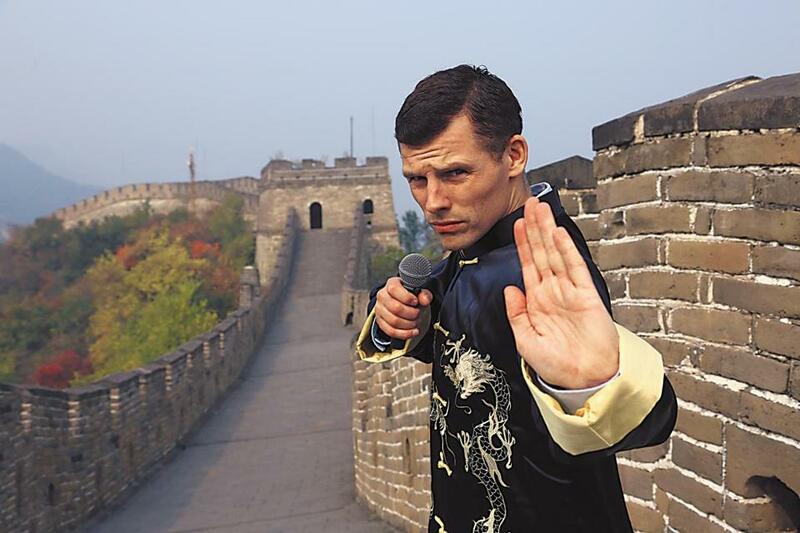 Des Bishop at the Great Wall of China. Des Bishop knows a thing or two about adjusting to new cultures. Born in Queens, he moved to Ireland in his teens and became a comedy star there. Part of his fame came from his willingness to jump into unfamiliar territory while the TV cameras rolled — he worked minimum-wage jobs and learned to perform stand-up in Gaelic. His latest project topped them all. A bigger problem was that Chinese censors go to some comedy shows. Bishop says controversial news topics aren’t general fodder for Chinese comedians. But there were some more underground shows where the fear of a censor would relax. Bishop wrote a rap song about the common wisdom that Chinese news never changes – the government is great, the people are happy, and the West is a mess.